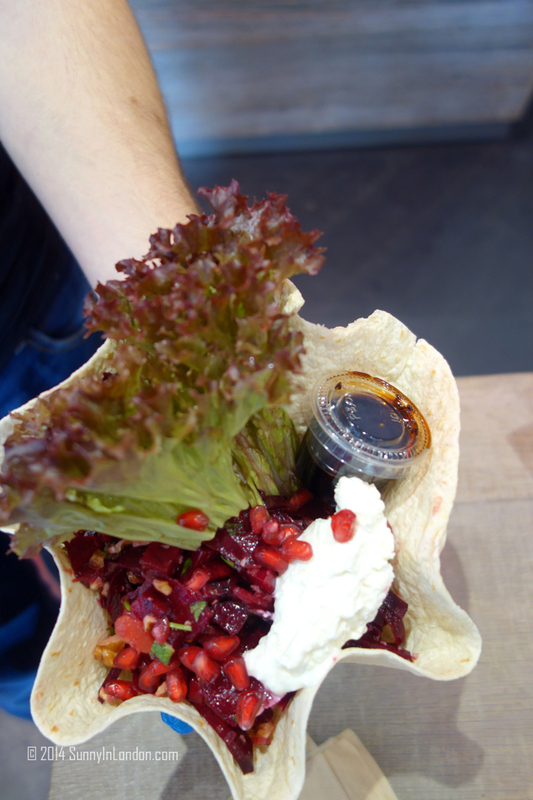 5 Reasons to go to Bunnychow- NOW! 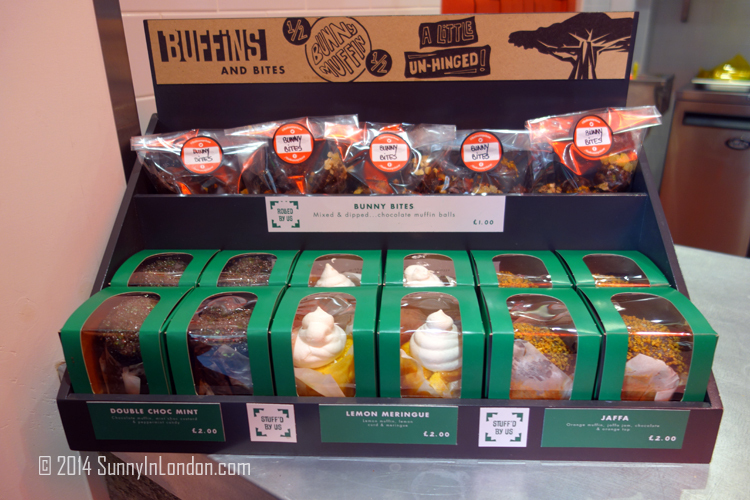 I made a huge mistake a few weeks ago when Bunnychow contacted me to stop in for their launch party. At the time, I was in Florida so I couldn’t attend. But the mistake was that I didn’t immediately go there when I returned. It wasn’t until a few days ago that I hit Bunnychow. Quite simply, I loved it for a lot of reasons. So, I’m going to spend a little blog time today convincing you to get your bunny down there for some chow as soon as possible, Sunny friends. The food is priced perfectly. I went with my friend from Florida who is currently working on her PhD in London. Since I’m job searching and she’s on an international student budget, we like things reasonably priced. Nearly everything on the menu is between £4-£8. My friend indicated she was very excited about sharing the menu with other students because they’re always searching for fun, quality food that is cultural yet affordable. It’s also nice to get food in this price range that is fairly healthy. 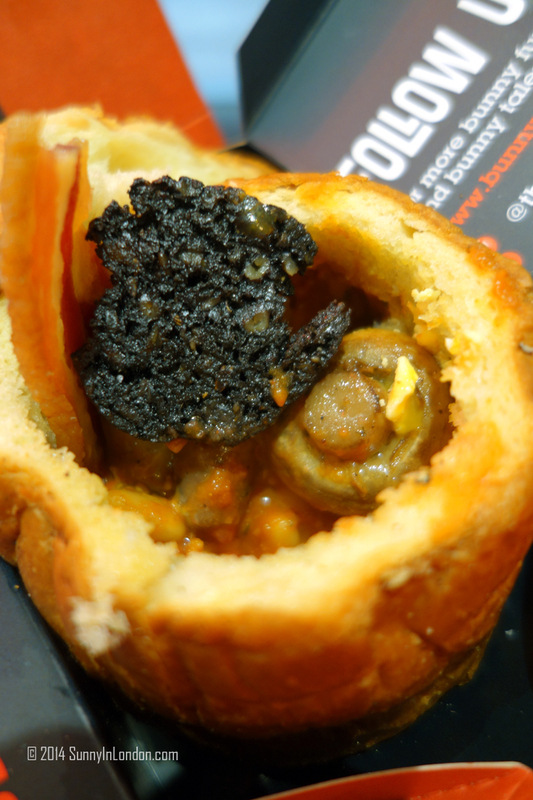 Literally a ‘Bunnychow’ is South African fast food dish. It involves hollowing out a loaf of bread and filling it with some type of curry. 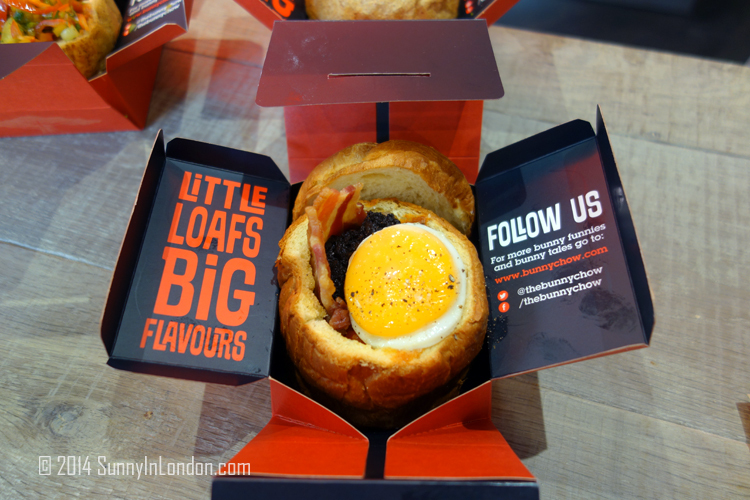 Bunnychow in London began as a food truck and then was a pop up in Shoreditch. They opened in Soho about a month ago. 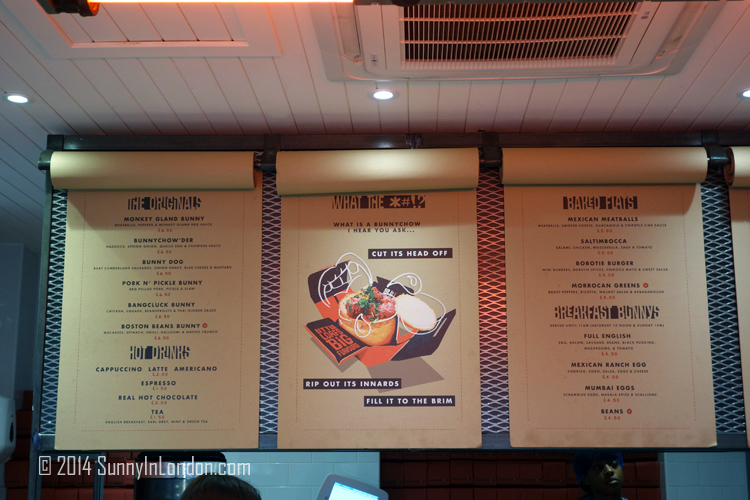 Actually, part of the reason why I didn’t rush to the food spot when I returned to London is because I thought it was a food truck located on Wardour Street. I’m not a fan of street food, so this wasn’t appealing to me. However, since my friend and I wanted something very casual and different, I suggested Bunnychow. We were both thrilled when we arrived at the address and saw it was an actual space in a building. 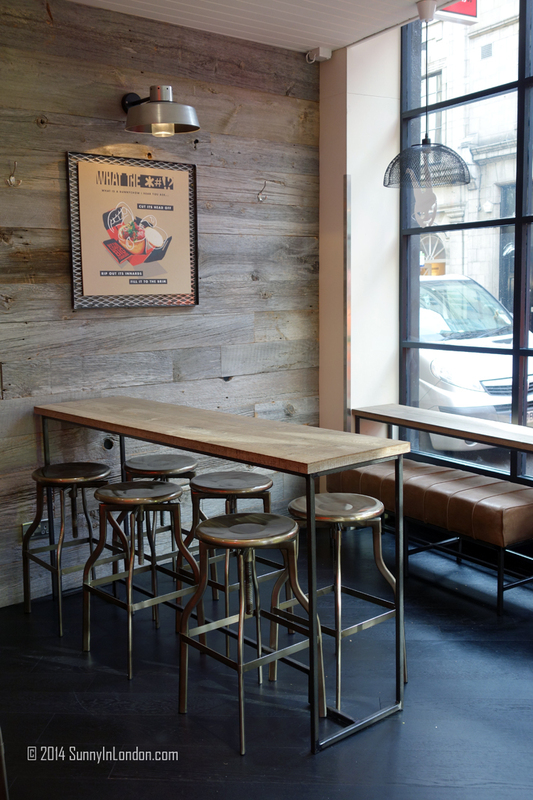 But, be warned there’s only one more table and set of bar stools there besides the one featured in the photo above. It’s also very easy to arrive and grab take away. The food is phenomenal. Everything except the bread is made fresh there each morning. The bread is made fresh at a different location and delivered each day. We started with a salad. They have three: White, Green and Red. 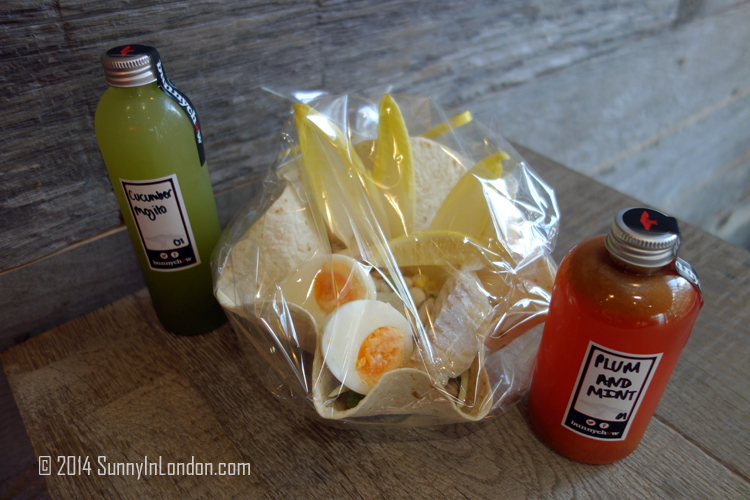 We ordered the White Salad (smoked haddock, boiled egg, tarragon bean salad, mustard dressing). Next, we ordered from the Originals menu. 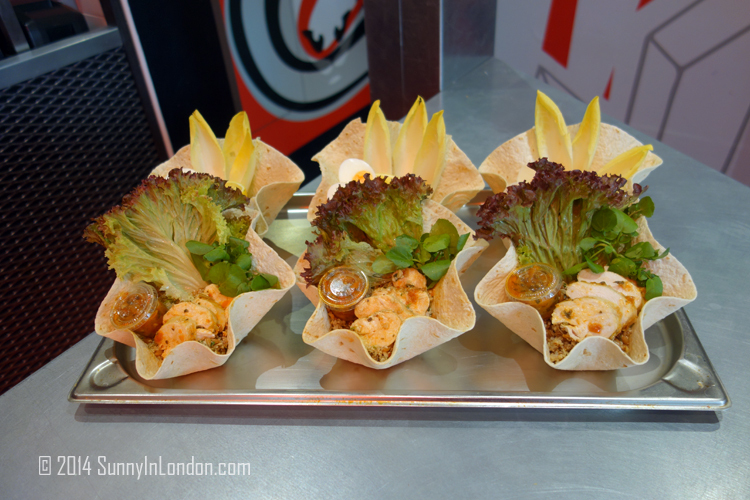 We loved the Monkey Gland Bunny (meatballs, peppers and monkey gland BBQ). I found it super spicy, but my friend didn’t notice any substantial kick. I’m such a light weight! Equally as delicious is the Bunny Chow’der which has haddock, spring onion, quail’s egg and chowder sauce. We didn’t stop there. The fact that they had a ‘Full English’ which features egg, bacon, sausage, beans, black pudding, mushrooms and tomato had us drooling. We ate that from the Breakfast Bunny’s menu too. Oh! And don’t let me forget their healthy juices! Here’s my cucumber mojito and my friend’s plum and mint. The staff at Bunnychow is simply amazing. 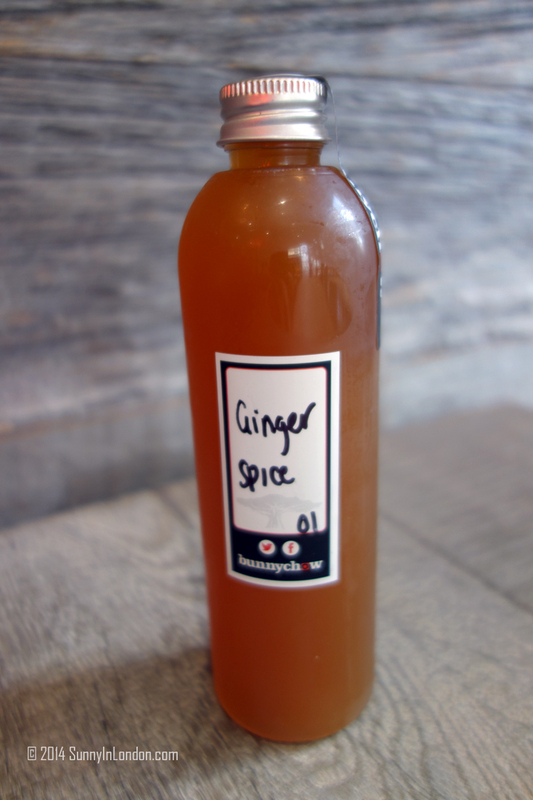 Aside from being super friendly and knowledgeable, sometimes they even stand outside the restaurant’s doors and distribute samples. They gave me so many opportunities to take pictures of their food. 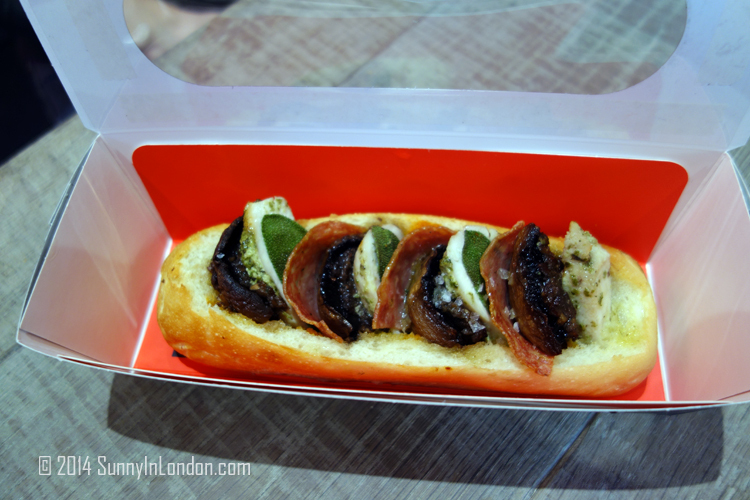 For example, I caught received this photo op of the Saltimbocca, which is from the Baked Flats menu. It has salami, chicken, mozzarella, sage and tomato. They also are extremely active on social media. That high engagement is very important to me. They’re on Facebook, Twitter, Instagram and even Pinterest. 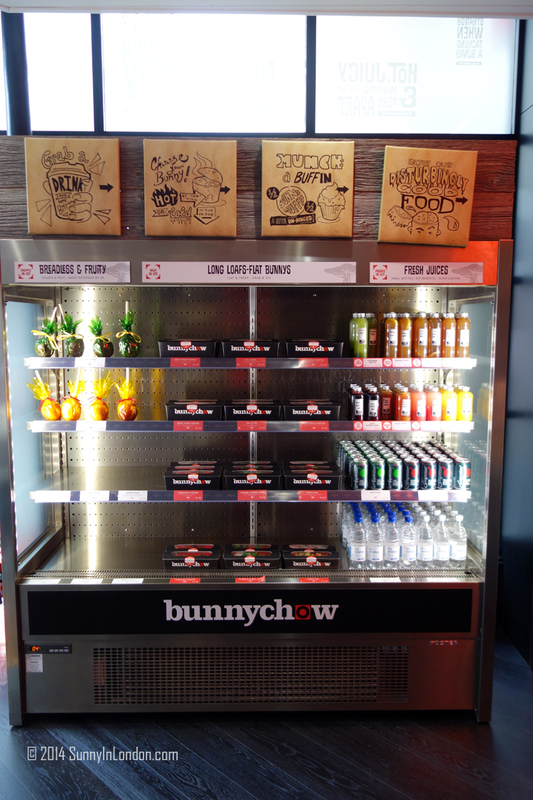 I think Bunnychow is probably the hottest thing going right now in Soho. 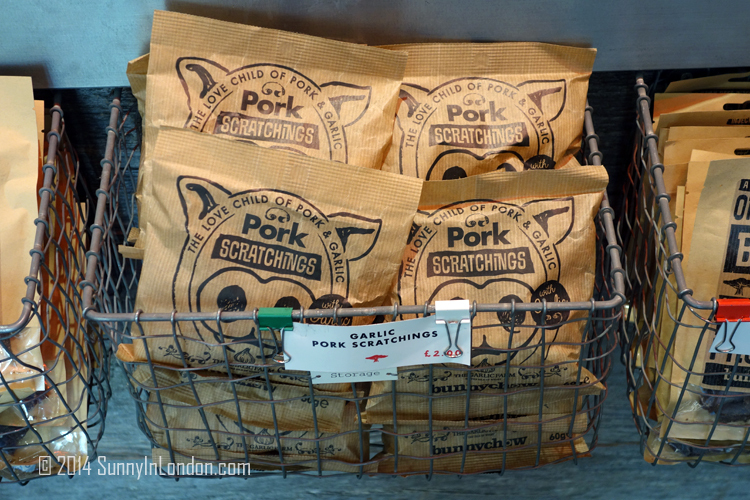 Located on 74 Wardour Street, it’s very popular for many different crowds. It’s open seven days a week from ‘early to late’ as well. While I was there, another one of my blogger buddies saw my tweets about the restaurant and hopped over to say hello. She’s already eaten there a few times. Yeah, it’s that good. We were super full when we finished all the food you’ve just seen. But, we managed to snag some goodies for on the way home. I grabbed a bag of Bunny Bites. They’re muffin balls mixed and dipped with chocolate. Yep, those baby bunnies melted in my mouth when I got home. My friend was fixated on the double chocolate mint buffin. She had nothing but love for that experience too. So, at this point, Sunny friends, I just have to say that you had better get off your little buffin, and hippity hoppity on over to Bunnychow…. NOW! Our food at Bunnychow was complimentary. This did not affect my opinion of the experience. However, I may have used a bit of profanity while running a few extra miles the next day to remove the leftover bunny balls. I will definitely return to Bunnychow soon with Mr. Sunny. He was very jealous when I got home and showed him the pictures. These were especially curious to him… Let me know what you think of all these food shots, Sunny friends! Ho! Ho! 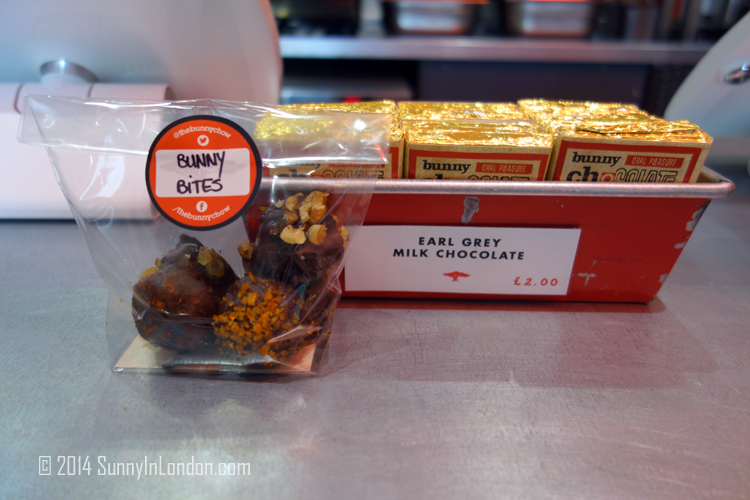 Hotel Chocolat, a Tasting Adventure! 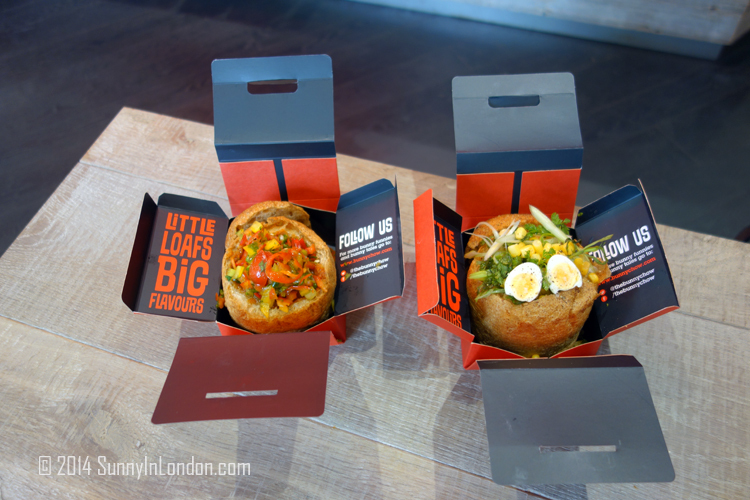 I love Bunnychow, I haven’t yet been to their Soho branch but their Boxpark branch is not too far from me, so perfect for a quick but filling lunch. Ha! Ha! We chose to eat it from the inside and then tear the ‘bread basket’ off in pieces. The staff had some really great stories about what people have done to eat their food. It was quite entertaining!